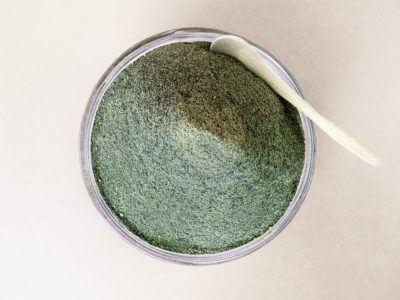 Our Six Mix Seaweed Powder is a mix of six different Brown and Red seaweed species, providing broad-spectrum nutrition and health benefits. 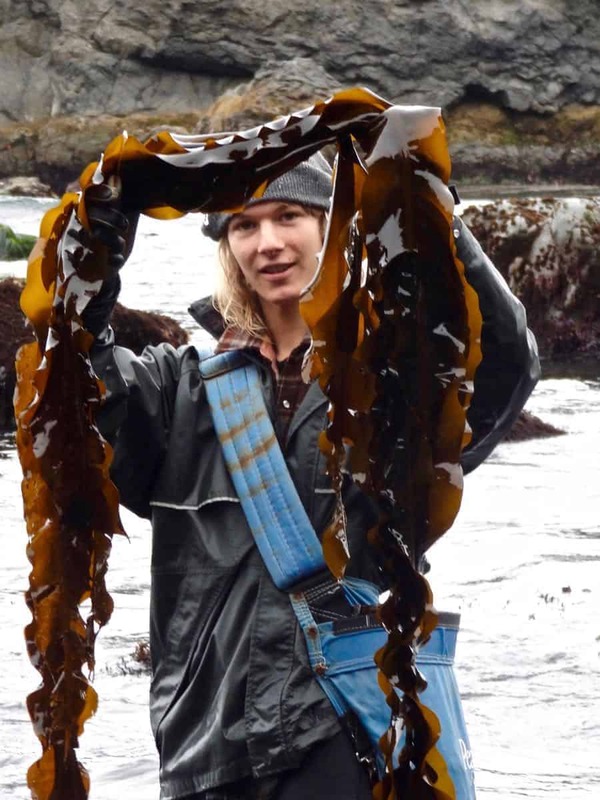 This is the same seaweed mix used in our Sea Vegetable Blend Capsules. Contains Kombu (Laminaria setchellii), Wakame (Alaria marginata), Kelp Fronds (Nereocystis luetkeana), Sea Fern (Cystoseira osmundacea), Gigartina (Gigartina papillata) and Iridea (Iridea cordata). 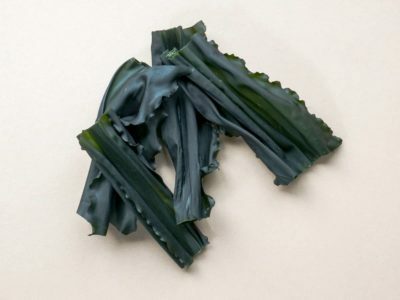 Seaweeds are concentrated sources of essential minerals and trace elements (including iodine and selenium), therapeutic polysaccharides, vitamins, carotenoids, chlorophylls, polyphenols and antioxidants. Six Mix Seaweed Powder has a mild flavor and may be sprinkled on food, added to smoothies, or simply mixed into a cup of water or juice. One level teaspoonful weighs about 4.5 grams. 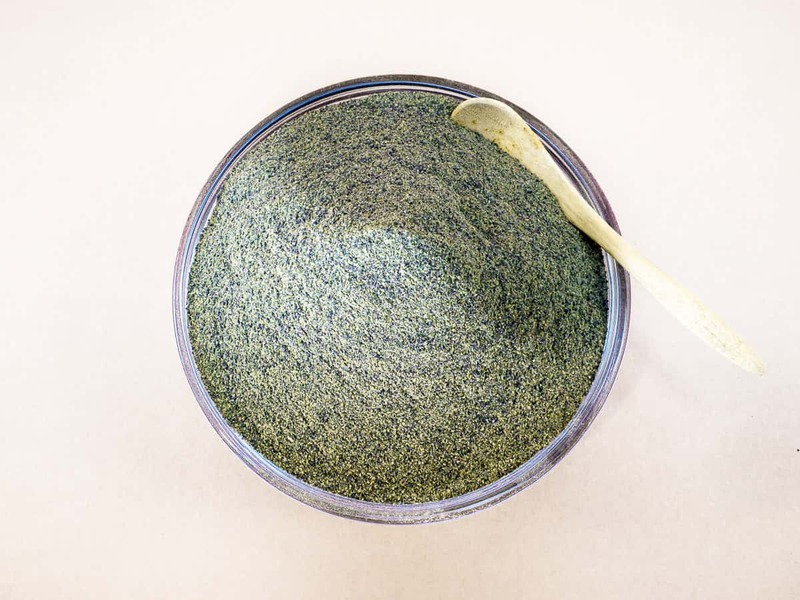 Six Mix Seaweed Powder will retain its quality for two to three years if kept dry and away from light and heat. A great condiment to sprinkle on cooked rice, vegetables and salads. It is tasty and healthy, yet easy to make. 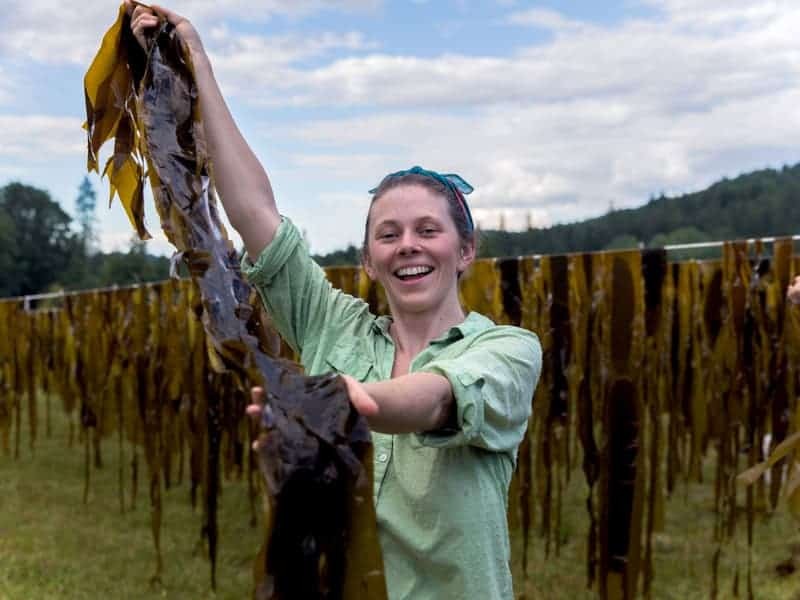 A proud moment while hanging Bull Kelp (Nereocystis luetkeana). 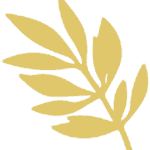 "My acupuncturist recommended you because of the high integrity and purity of your products. My hair started getting thicker again after taking a teaspoonful of your Six Mix Seaweed Powder daily. 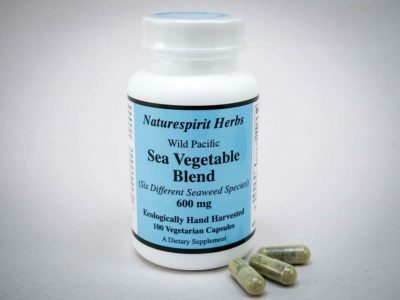 I think this combination of seaweeds is a great way to get minerals into the body”. Six Mix Seaweed Powder has a mild flavor, and may be sprinkled on food, added to smoothies, or simply mixed into a cup of water or juice. One level teaspoonful weighs about 4.5 grams. Great condiment to sprinkle on cooked rice, vegetables and salads.